Do you want to know how to make money as a real estate agent without any certifications? What if we tell you there’s a way to make money as a real estate agent even if you don’t have any real estate license? As a real estate broker or agent, you can offer rentals or sell homes without any real estate certifications by using affiliate marketing. In case if you’re wondering about how you can use affiliate marketing to make money by selling rentals or homes, this post is exclusively for you where you’ll discover some of the top real estate affiliate programs to use in 2019. We’re considering that you’re new to affiliate marketing so we’ll explain in simple terms so you’ll know what it is all about how you can promote several real estate affiliate marketing programs to make money. Ready? Affiliate marketing is the process of making money when you refer someone to any online product (through your affiliate referral link) and when that person makes a purchase, you will receive a commission. According to Google Trends, between September 2016 and September 2017 search interest in the term “affiliate marketing” has risen by 30% and 16% of all online orders are generated through affiliate marketing. That’s the power of affiliate marketing. Although there are a wide range of best affiliate marketing programs available but we’ll use this post only to discuss about the real estate affiliate marketing programs. Let’s now get into the details of promoting few best real estate affiliate programs without further ado. Real Estate Express is a pioneer in online real estate education which was launched in 1996 and helping thousands of real estate agents and brokers to become successful through their platform every year. It is also offering an affiliate program where you can easily earn money by sharing Real Estate Express referral links with your network. How the Real Estate Express affiliate system works? Here’s how you can make money using Real Estate Express. You’ll join their affiliate program (which is free to sign up). Once your account is approved, you can start promoting Real Estate Express online courses to generate commission. If anyone uses your affiliate link to purchase their courses around real estate license, you will get paid your commission. You’ll also get instant access to Manager Dashboard on Real Estate Express to easily monitor your clicks, people who enroll through your website, leads, total sales and so on. 25% commission on every single sale. You can earn 25% commission everytime someone purchases through the Real Estate Express Partner Affiliate Program referral links on your website. 100 days cookie life. That means, if anyone clicks and don’t purchase immediately and converts within 100 days, you still will get paid. Payouts after every 15 days. Quick note: All of your affiliate commissions will be paid within 15 business days of the end of each month as long as total commission due is over $50. If the total commission due is less than $50, the commission is rolled to subsequent months until the $50 minimum threshold is reached. Apart from all the above things, the great thing about using Real Express website is that, you can learn about pre-licensing education to pass the state and national real estate licensing exam to get a real estate license. So it’s beneficial in both ways! What’s the sign up process for Real Estate Express affiliate to earn more money? You should complete the form mentioned here to join the Real Estate Express Partner Affiliate Program. Once your application is approved, Real Estate Express will send you a link where you can access all the banners and logos that you need to place on your website or social media sites in order to promote their online courses around real estate to generate affiliate commission. Founded in 2003 Only-apartments is a huge online platform which has access to over 150,000 accommodations in over 120 countries worldwide. The great thing about using this real estate affiliate program is that the bookings made on this platform are instant so you get commissions quickly. How Only Apartments affiliate system works? Firstly, you need to sign up to their affiliate program. Then, they will review it and send you the access information to your account of affiliation. Once you have been registered, you can start promoting their rentals to start generating commission. It ranges from 35 to 45% commission depending upon the amount of bookings you make in a month. Integration can be done by banners or links or by XML integration. Wide range of accommodations where you can promote apartments in more than 2000 destinations around the world. Quick note: The booking fee is the Only-apartments commission, not the total amount of the rent that the customer pays. The percentage of your commission will be calculated over the booking fee. The commission will be paid on 5th of every month. All of your commissions generated through the site are paid monthly once reaching the minimum of 50 euros. In case the minimum is not reached, the payment will be added to the following month. What’s the sign up process for Only Apartments affiliate to earn more money? Click here to register an account on this platform to start earning up to 45% commission for each successful referral you generate a month. HomeAway is one of the leading inventories in vacation rentals which has more than 2 million properties worldwide which you can use to promote as an affiliate to generate affiliate commission. How HomeAway affiliate system works? With HomeAway affiliate program, you can refer vacation rentals to your website audience and whenever someone uses your referral link, you generate commission. HomeAway provides you 3rd party tracking, real-time reporting and monthly commission checks so you can become a successful real estate affiliate. You can earn up to 3% for everyone whom you successfully refer who rents a HomeAway listing. You can also earn $20 as an affiliate for every new listing you refer to HomeAway website. You’ll get paid on a monthly basis so the commission will be paid out to you through PayPal every single month. What’s the sign up process for HomeAway affiliate to earn more money? HomeAway is partnered up with Commission Junction so you need to create an account on CJ in order to be able to become an affiliate to successfully refer their products to earn money as an affiliate. Once your account is approved from them, you can start promoting their products which are related to real estate through your website or social media campaigns to boost your affiliate commission. As the name suggests, RealEstateAffiliates.com is one of the #1 real estate affiliate networks used by thousands of marketers and real estate brokers around the world to earn money by promoting high paying affiliate offers. RealEstateAffiliates.com is a great choice for all kinds of marketers, real estate agents and publishers who are looking to profit from the growth in real estate crowdfunding. You need to simply join their affiliate network to generate commission for each sale that’s made through your referral link. There are basically 3 ways you can make money using their affiliate program which are listed below. Cost Per Action (CPA) where you get paid when send traffic to their partner advertisers (your referrals complete an action such as become a lead, sign up to their email list, purchase something etc to get paid). Cost Per Lead (CPL) is one of the easiest ways to boost your real estate affiliate commission where you get paid every time you send your referrals to their partner advertisers on a Cost Per Lead basis. Revenue Share is another source of earning money where you receive recurring commission for all transactions your referrals enter into with any of their partner advertisers. Payouts are made twice a month so you get paid after every 15 days. At the end of each month you’ll receive payment for your referrals via your chosen payment method either Wire transfer or PayPal. What’s the sign up process for RealEstateAffiliates.com to earn more money? You need to first sign up using this link to join as an affiliate to start promoting their products and programs to earn more money. Just make sure to mention your details and send a detailed message why you want to partner up with them to become an affiliate promote for their site. Upon receiving further confirmation from their team, you can start promoting their products using referral link given to you to start making high commissions for each successful sale. Referz is one of the best real estate affiliate programs which has been serving people worldwide for over 10 years and this platform is the place where you can find best local real estate deals. How Referz affiliate system works? Referz is currently offering 3 types of payouts to real estate agents. One is the standard where you’ve to pay some amount and the rest of the stuff deals with referral programs which are discussed below. With standard program, even if you don’t have a real estate license, you can pay a 30% referral fee only upon a successful closing (and the 70% of rest of commission will be yours). With referral program (where you need a license), you get 20% referral commission for each successful closing. With team referral program, you can generate 25% commission with each sale. That means, when a client clicks through to Referz.com from your team member’s marketing, chooses an agent and a deal closes, you receive 5% of the total gross commission received by the closings agent’s broker. That means, if you end up selling a $500,000 property, you generate $3000 as direct referral fee and $750 indirect referral fee which is earned when a member of your team generates a buyer or seller who closes on a property. What’s the sign up process for Referz affiliate to earn more money? Here’s the link to sign up as an affiliate with Referz.com to start generating high commissions with every successful closing. Zilpy has been one of the top places for real estate rental market analytics since 2008. You can find a ton of opportunities to make money as a real estate affiliate by promoting to landlords, real estate investors, appraisers and cash flow buyers using Zilpy affiliate program. How Zilpy affiliate system works? Upon signing up (which is free to join), you will get a confirmation link where you can find your affiliate referral URL to start promoting real estate deals to earn commission per each successful sale. The payouts will be made every month to your PayPal account. What’s the sign up process for Zilpy affiliate to earn more money? You can visit this link to sign up as an affiliate. In case the page is not available, you can contact the owner at bogdan@zilpy.com and discuss about joining their referral program. Foreclosure is the global leader of distressed asset information and services where you can find a ton of high converting property listings to promote as a real estate affiliate to earn hefty commissions on every successful closing. How Foreclosure affiliate system works? You’ll first need to create an account as an affiliate. Once the account is activated, you will find a unique referral link which you can use to promote the products using their platform. 6 months cookie duration that means If a customer comes through your affiliate referral link to their site and then comes back to purchase six months later, you get your commission. It’s as simple as that. The commission will be paid out to your PayPal account on a monthly basis. The payouts will be paid on 15th every month and the minimum payout is $100. In case the minimum is not reached which is $100, the payment will be added to the following month. What’s the sign up process for Foreclosure affiliate to earn more money? Click on this link to sign up for their affiliate program to generate 25% commission and every more depending on the amount of sales you make each month. RP Capital is another great platform which includes a team of licenced real estate professionals that offers you a hefty commission based affiliate referral program. How RP Capital affiliate system works? You send them leads (using your unique referral link given by them upon signing up) and RP capital takes all the burden to sell real estate deals and properties and you receive a 6% commission at closing. RP capital sends you a check 2 times a month for $1,000 per sale. What’s the sign up process for RP Capital affiliate to earn more money? Click here to become an affiliate at RP Capital and start generating $1000 per every successful lead. Mobile Homes Make Money is an incredible affiliate real estate affiliate program which offers you the finest investment courses to promote as a real estate affiliate marketer to earn decent commission every month. How Mobile Homes Make Money affiliate system works? Make sure to create a free account to become an affiliate on their site to promote their real estate deals and products to earn commission. You’ll also get access to the tools to handle things like order processing, shipment, billing and support. Once someone uses your affiliate referral link to purchase something from their site, you get paid. It’s as simple as that. Quick note: You will make 25% of every successful sale that comes from your affiliate referral ID and 10% of your sub referral sales. 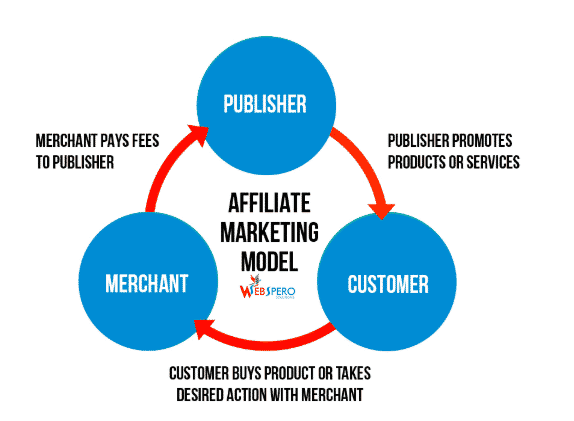 The minimum amount per sale to the first-tier affiliate is 25% and the minimum amount from 2nd tier affiliates is 10%. That means you make 10% commission from your sub referrals. You will receive commission payouts on the 30th of every month via PayPal. What’s the sign up process for Mobile Homes Make Money affiliate to earn more money? Click on this link to join as an affiliate for free and start earning 25% commission per every sale you generate using your referral links. If you want to make money from real estate seller leads, start using BoldLeads. This is a lead platform related to real estate where you can promote BoldLeads and make $20/month for each referral! How BoldLeads affiliate system works? You need to fill out a form to join as their affiliate agent. Once your account is activated, you will be give a referral link which you can use to generate referrals to promote real estate seller leads. What’s the sign up process for BoldLeads affiliate to earn more money? You need to fill out the form provide on this page where you need to enter your details such as name, email, phone, estimated referrals you can generate in a month to become a part of their affiliate program to promote real estate seller leads. Yes, making money as a real estate agent is hard especially when you don’t have a real estate licence. That’s where affiliate marketing comes into handy for you to sell homes or rentals to earn huge commissions for every successful referral. So what are you waiting for? Join the best real estate affiliate programs mentioned here and start promoting them through social media, paid ads or websites to earn more commissions for each referral. Let us know if you have any questions in the comments. Thanks for sharing such information. I am a travel blogger and started blogging since last year. See my blogs on travel. This is really helpful article. Thanks for sharing this list sir. I guess the most important thing affiliate programs are very important for online business and u explain it very easy and smartly .. thnx again..